Hot Week Ahead - Typical For Mid June In NM. Typical June Day In New Mexico. 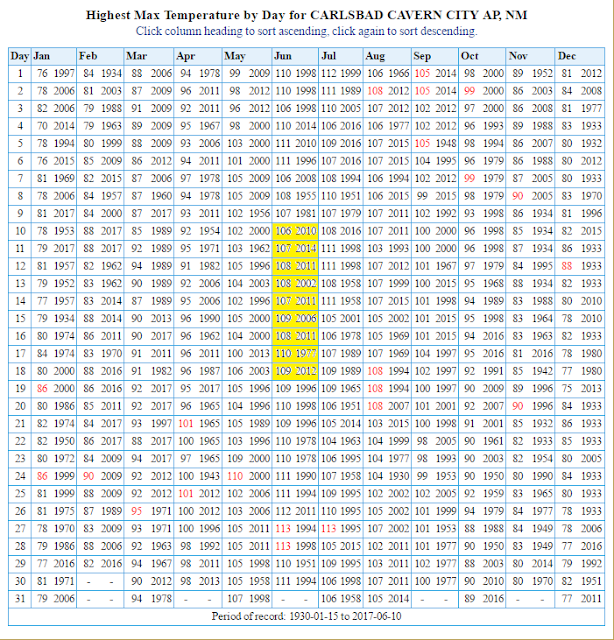 Daily High Temp Records Yesterday. 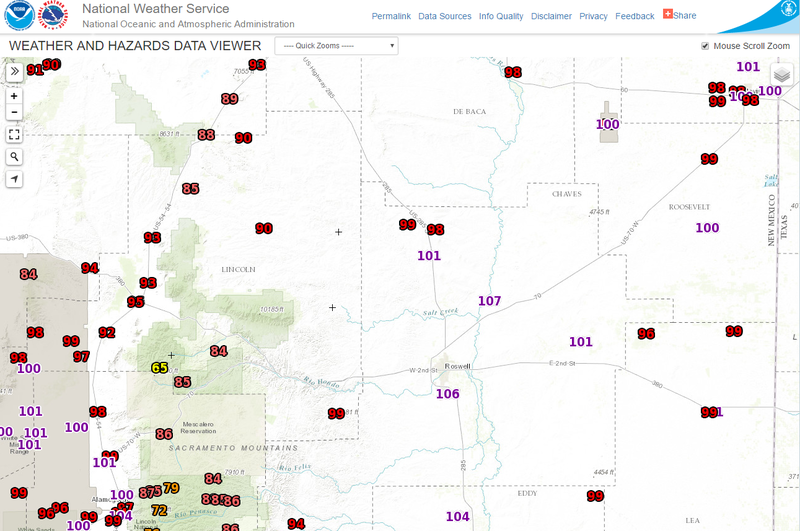 NWS MesoWest Reported High Temperatures Saturday. 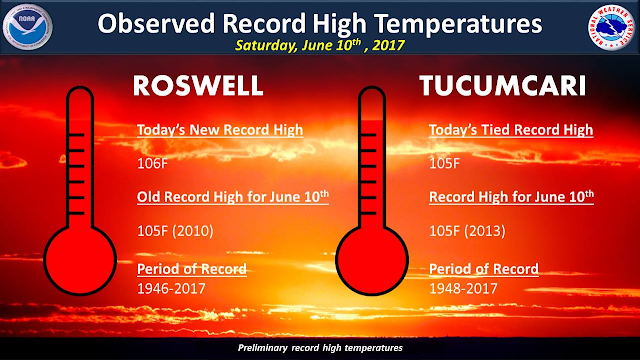 Roswell broke their daily record high temp yesterday with a reading of 106ºF which beat the old daily record high of 105ºF set on 2010. 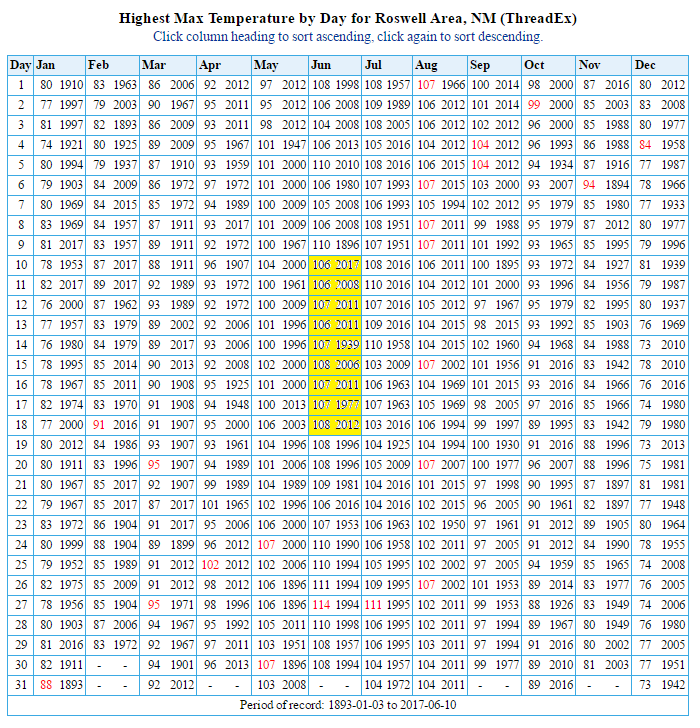 The highest temperature I could find in the state yesterday was the 107ºF at the Salt Draw Raws northeast of Roswell. 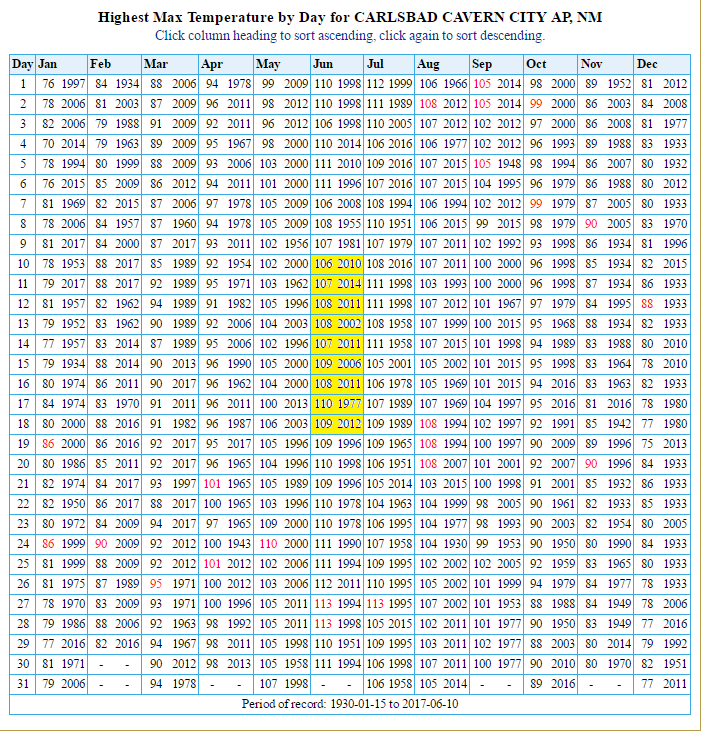 I recorded at high of 105ºF at our home here in Carlsbad while the Carlsbad Airport ASOS reported 104ºF as did the Artesia Airport AWOS. 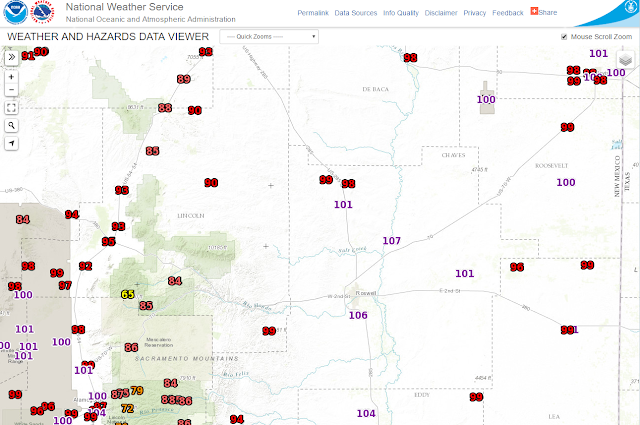 June in New Mexico is typically hot with most locations often seeing their highest temperatures of the year. 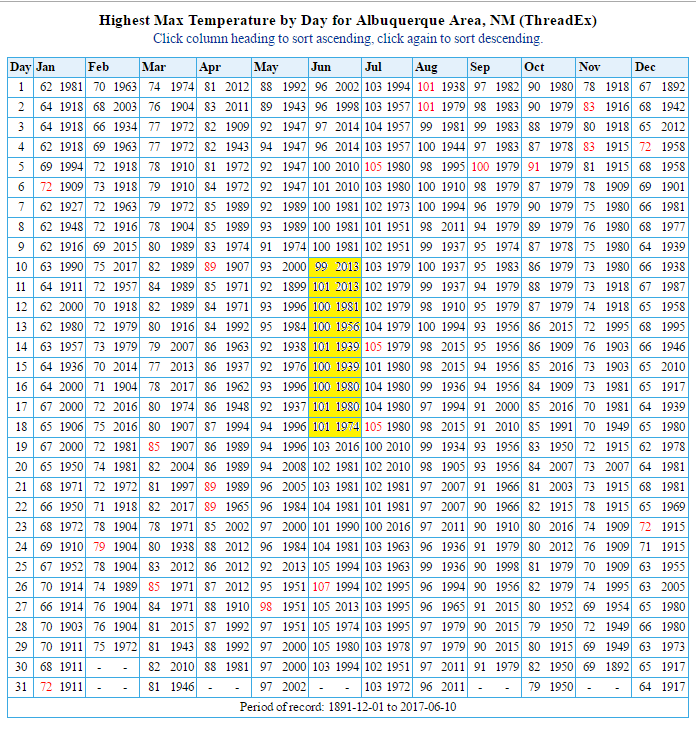 The last two weeks of the month are often the hottest and locally it is during this time period that our all time highest temperatures have been recorded. We usually see our daily high temperatures come down by around the 4th of July into the second week of the month when our annual Southwestern Monsoon kicks in...but this isn't always the case. 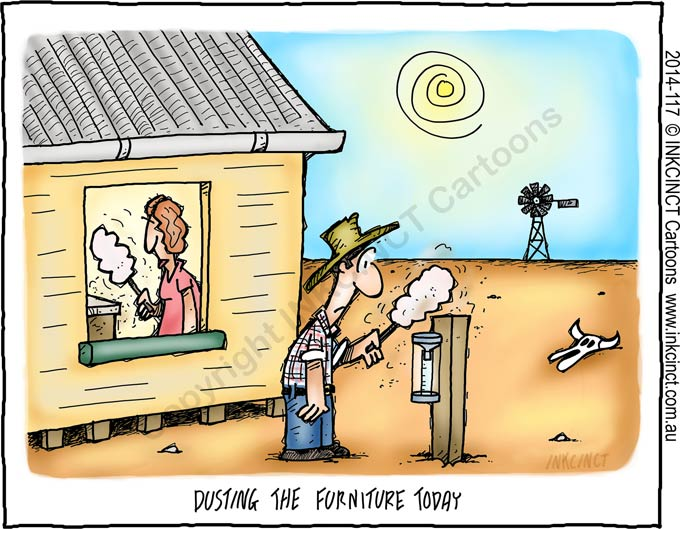 Such was the case in Southeastern New Mexico last July. 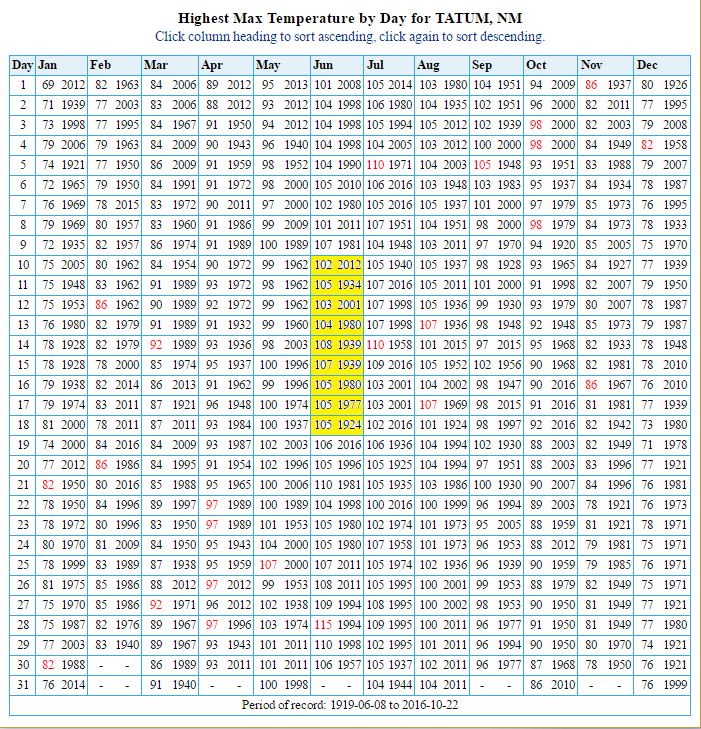 See the following blogs I posted during that month's heat wave. 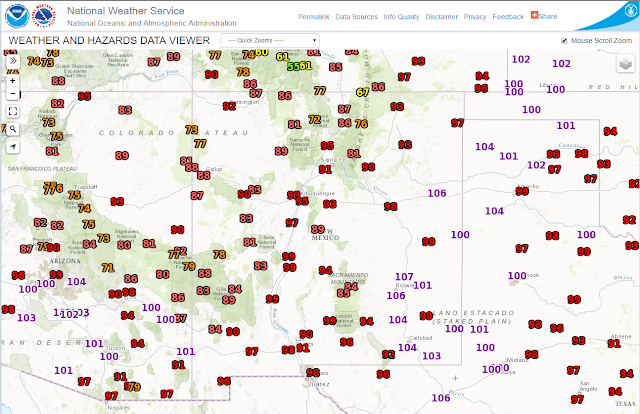 July 9th- First Week In July Was A Hot One In NM - Second Week Will Be Too. 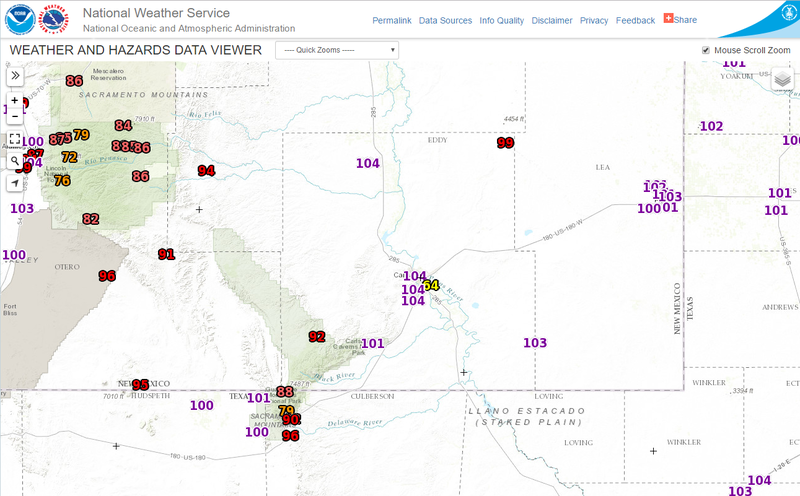 July 12th - Three Days Of 110ºF Heat In SE NM? 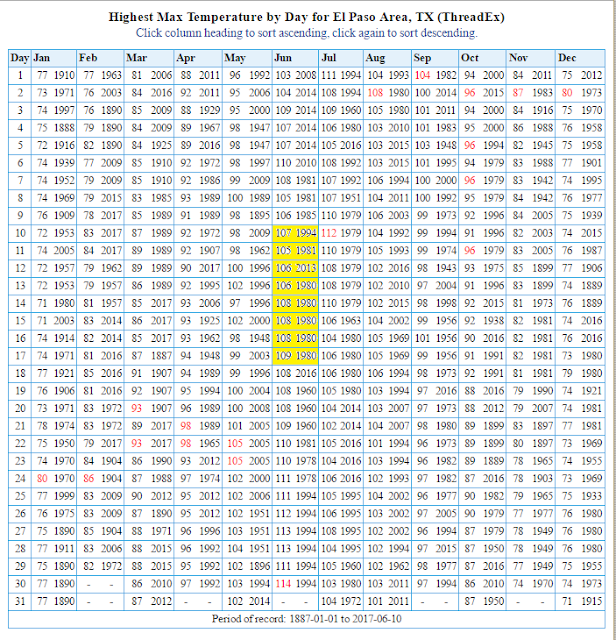 July 16th- First Half Of July 2016 Has Been Hot In Southeastern New Mexico. August 1st- Climate Data For Roswell, NM (July 2016). 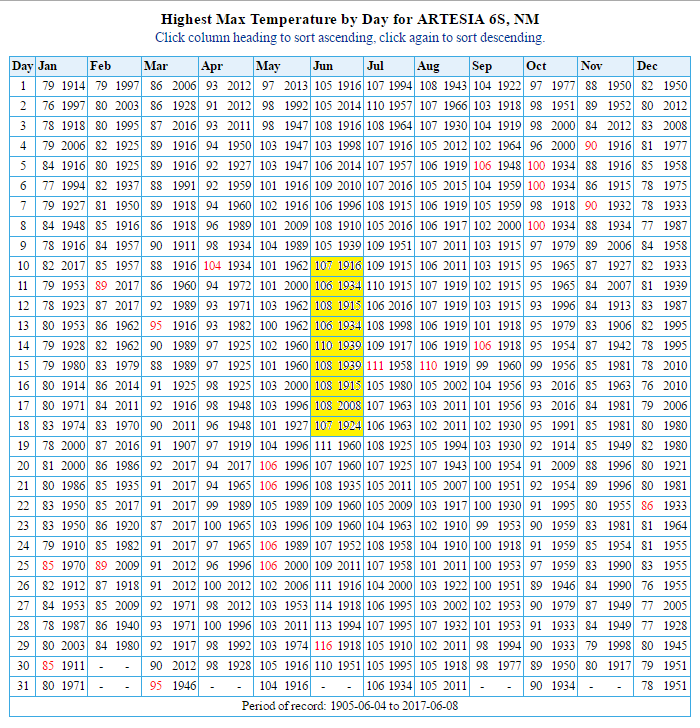 August 1st- Climate Data For Artesia, NM (July 2016). 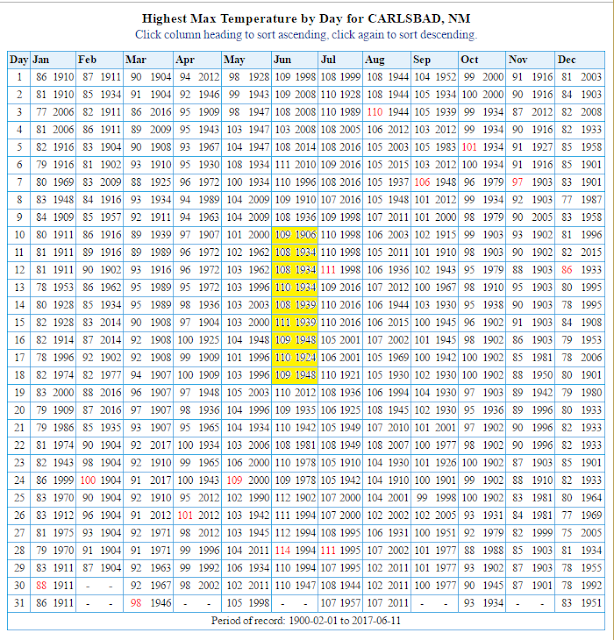 August 1st- Climate Data For The Carlsbad, NM Climate Co-Op Station (July 2016). August 1st- Climate Data For The Carlsbad, NM Airport (July 2016). 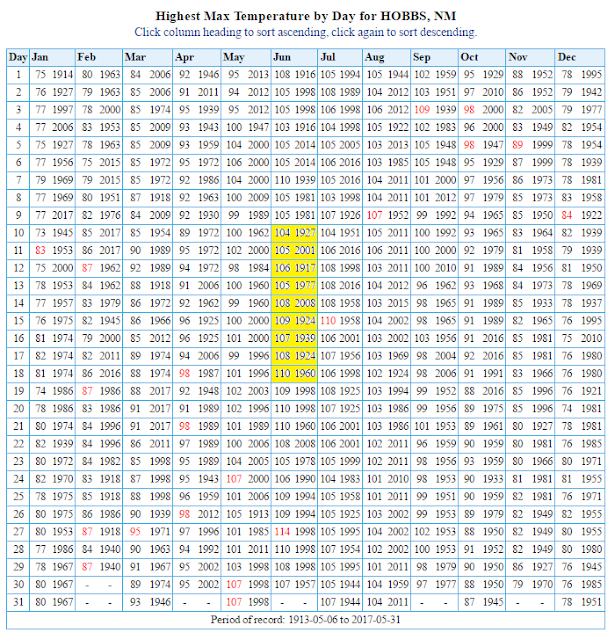 You can find these blogs and others I have posted via the "Archive" section of my web page on the right hand side. NWS Midland Forecast Highs Today. 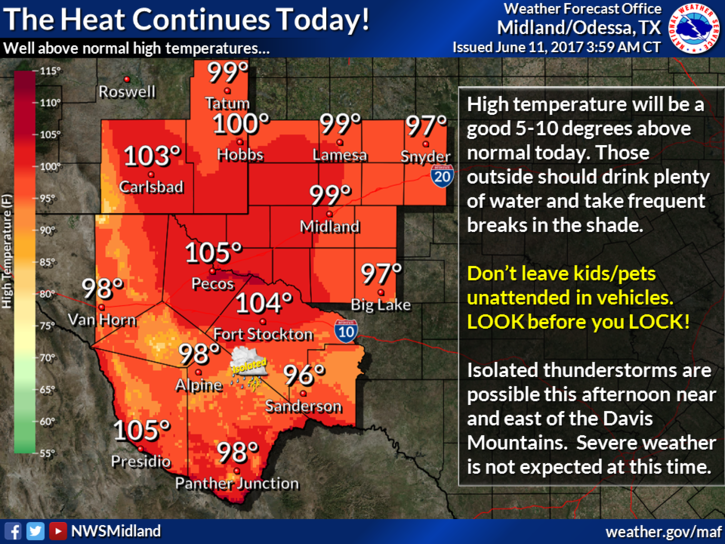 Again a hot week ahead is in store for the area with our daily high temperatures forecast to reach or exceed 100ºF each day in Southeastern New Mexico and nearby areas. 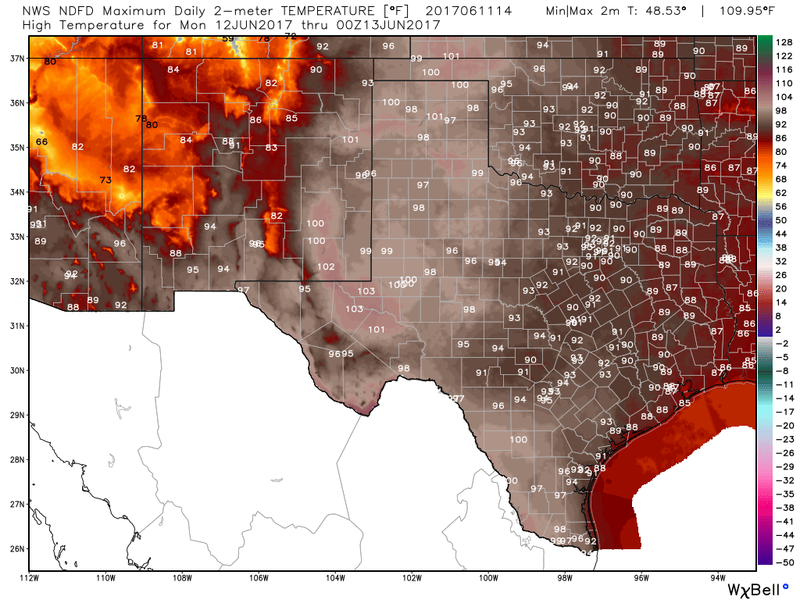 And last night's European forecast model (ECMWF) is persistent in keeping Southeastern New Mexico in the broiler today through next Sunday with the following forecast high temps for Carlsbad. 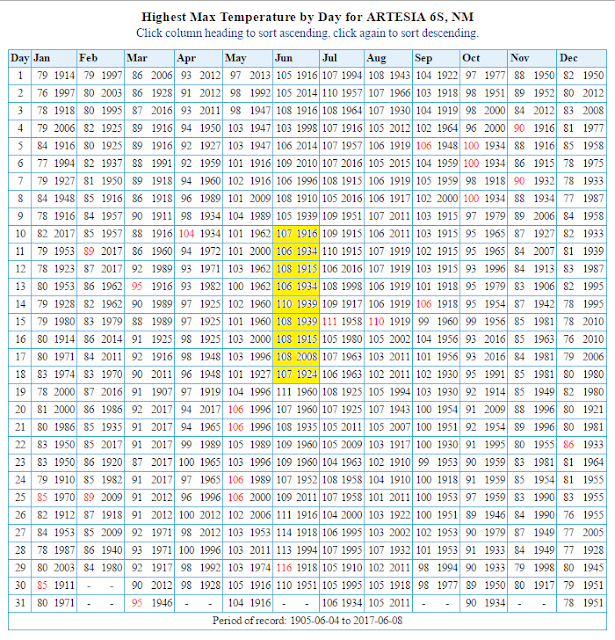 Today 102ºF, Monday 102ºF, Tuesday 103ºF, Wednesday 104ºF, Thursday 103ºF, Friday 108ºF, Saturday 105ºF, Sunday 106ºF. 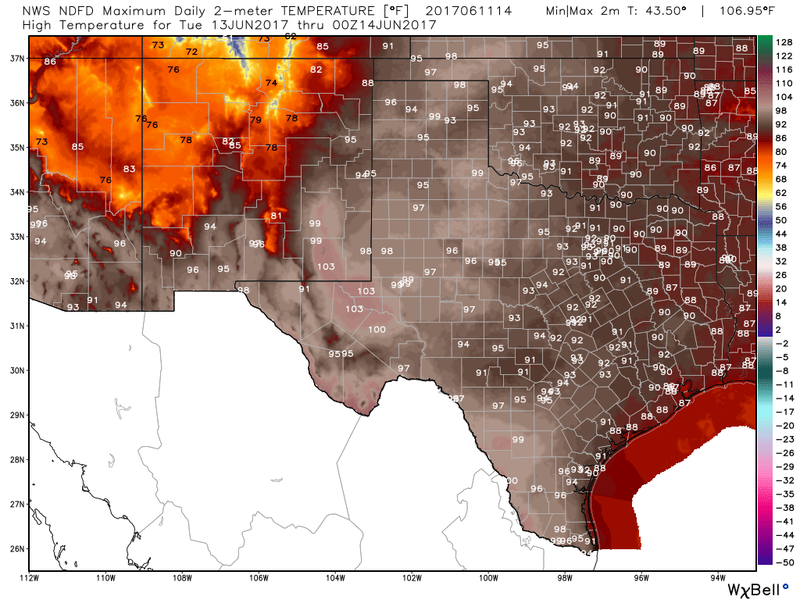 Similar readings are forecast for the rest of the local area. 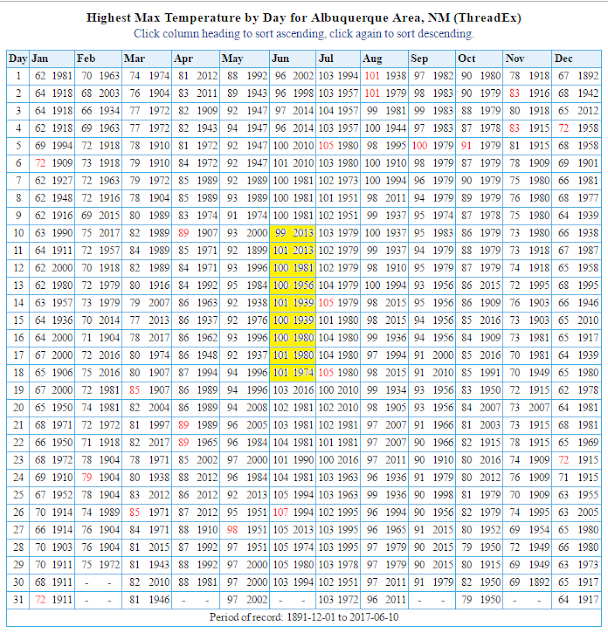 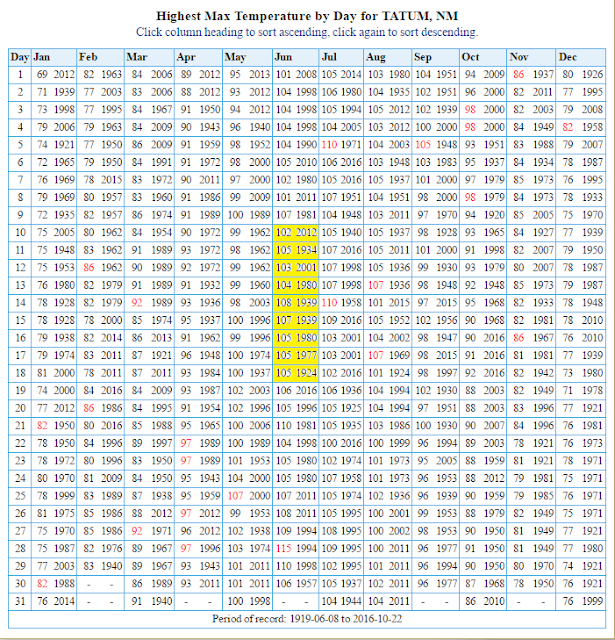 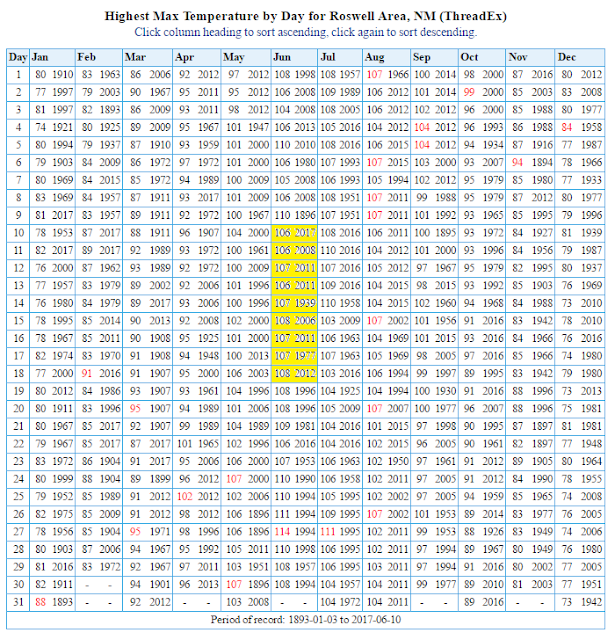 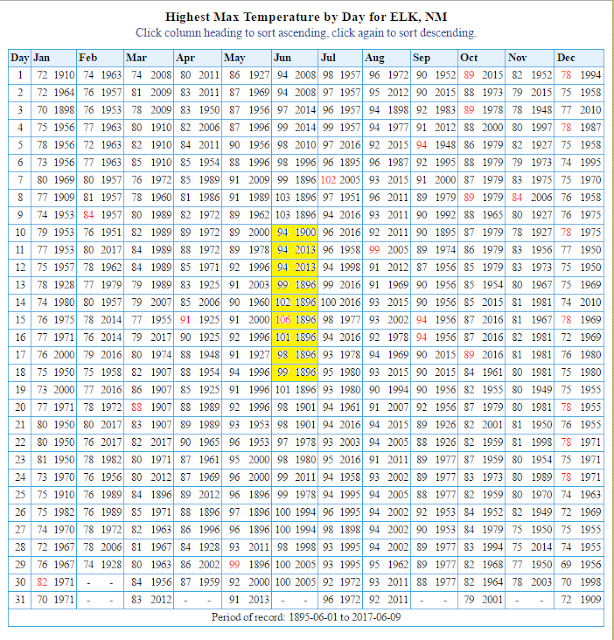 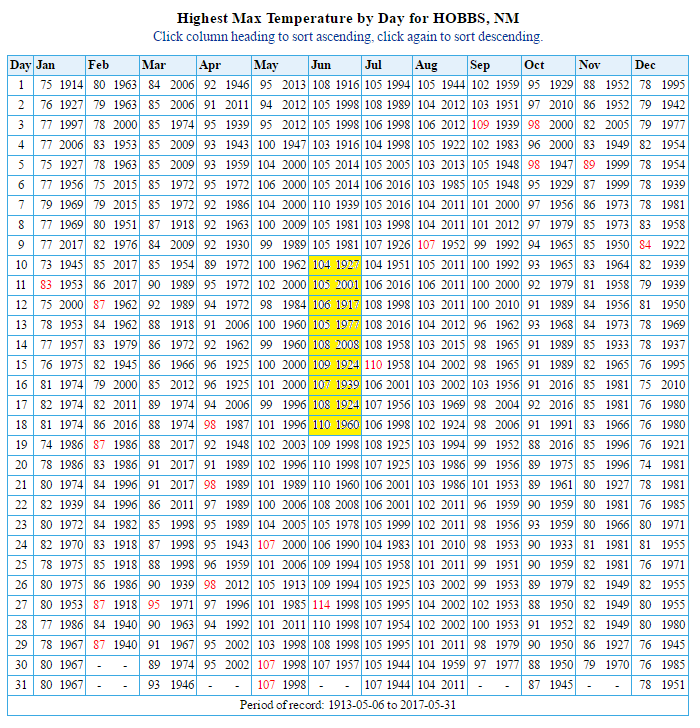 NWS Climatological Daily Record High Temperatures. 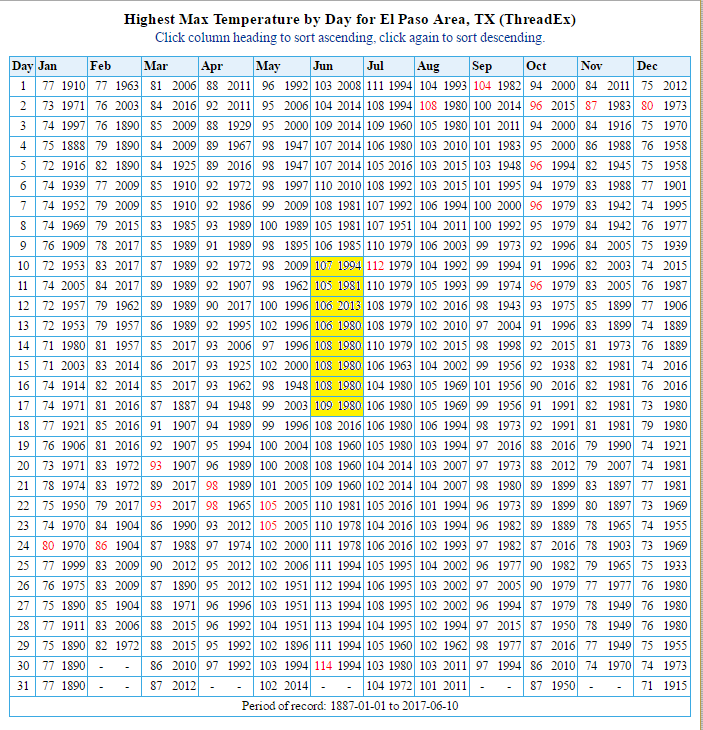 We may see a few daily high temperature records tied or broken over the next week but most of us should not do this given the readings listed above.